Stockist of ASTM A213 Gr T91 Tube Material, Alloy Steel T91 Tube & Alloy Steel T91 Tubing. 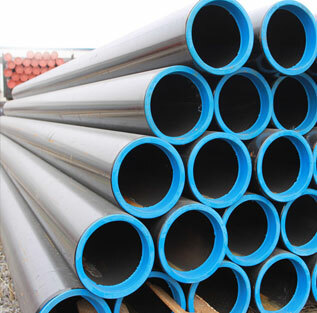 Check SA213 T91 Pipe Price in India. 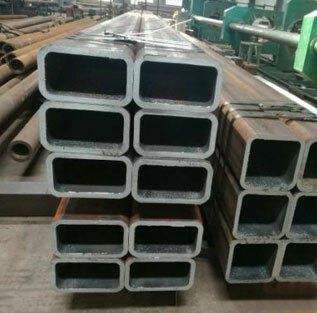 T91 Alloy Steel Tube (Grade T/P91) is a ferritic-martensitic (9 % chromium, 1 % molybdenum) steel micro-alloyed with vanadium and niobium, and has a controlled nitrogen content according to ASTM A 335, A 213 or to EN 10216-2 standard under the designation X10CrMoVNb9-1. We stock ASME SA213 T91 Tubing, seamless mechanical T91 tubes, Cold Drawn Seamless (CDS) T91 tubes and Hot Finished Seamless (HFS) T91 tubes, in a wide range of sizes up to 100mm wall thickness. We also supply ASME SA213 T91 Alloy Steel Seamless Tube, SA213 T91 Alloy Steel Seamless Tubing that combines excellent tensile properties with good weld ability and machine ability. Steel Tubes India is a highly specialised manufacturer & supplier of large-diameter Alloy Steel T91 Seamless Tubing for the process plant and power generation industries. We supply seamless AS T91 Tubes and welded T91 Steel Tubes for onshore, offshore, midstream, power and downstream applications, including T91 Alloy Steel Seamless Tube, ASME SA213 AS T91 Tubes for high temperature and pressure environments and abrasion resistant. 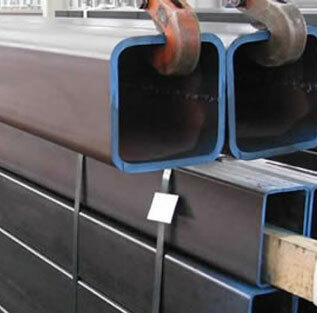 SA 199 T91 material specification was Seamless Cold-Drawn Intermediate Alloy-Steel Heat-Exchanger and Condenser Tubes, SA199 T91 material specification was withdrawn in 1995, and replaced with SA200 T91, which was withdrawn in 1999, and replaced with SA 213 T91. T91 Alloy Steel Tube (SA213 T91, Chorme-Moly) is a seamless ferritic Alloy Steel Tube for high temperature service. 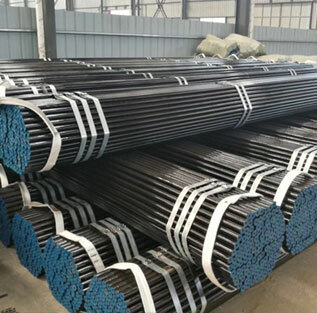 These T91 material including Alloy Steel T91 Tube and SA213 T91 Seamless Tube are suitable for high temperature application such as bending, flanging (vanstoning), and similar forming operations, and for fusion welding in the power industry and petro-chemical plants. 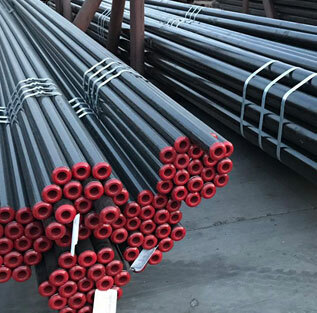 SA213 T91 Alloy Steel Tubing is also known as ASTM A213 T91 chrome moly tube because of the chemical makeup of Molybdenum (Mo) and Chromium (Cr). Molybdenum maintain the strength of ASME SA213 T91 square tube as well as the elastic limit, resistance to wear, impact qualities, and hardenability. Moly is the most effective single additive that enhance high temperature creep strength of ASTM A213 T91 Tubing. Long Lengths ASME SA213 T91 Seamless Tube & High Pressure T91 Boiler Tube are available in hot rolled condition up to 22.5m. Seamless ferritic alloy steel T91 Tube can be supplied to meet special surface requirements and/or close diameter and wall thickness tolerances. 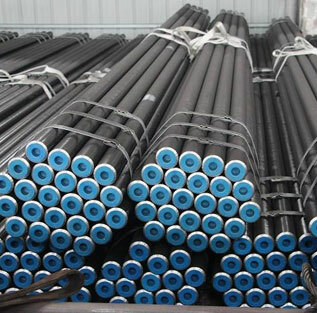 Cold-drawn ASTM A213 T91 Alloy Steel Tube are supplied up to 25m with close tolerances, in standard and non-standard dimensions or inside-diameter controlled. 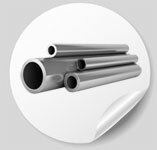 We supply all Alloy Steel T91 Tubing & AS T91 Chrome Moly Tubing, such as T91 combustion chamber tubes, T91 heater tube, T91 header tube and T91 line pipe for main steam and reheater circuits, in a complete size range from the smallest dimension up to large heavy wall pipe in all required alloy steel grades. 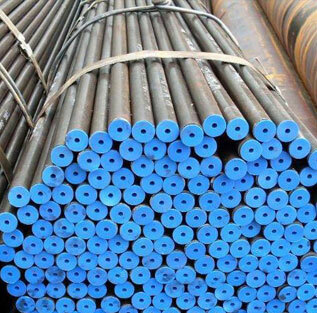 Steel Tubes India is NORSOK approved supplier & exporter of ASME SA213 T91 Alloy Steel Tube, SA213 T91 heat exchanger tube, Grade T91 Hydraulic Tube, SA213 T91 seamless Tubing, ASME SA213 T91 cold drawn square pipe and ASME SA213 T91 cold drawn square pipe. We are stockist & distributor of gr T91 Alloy Steel Seamless Pipe & grade T91 Alloy Steel Hydraulic Pipe. Steel Tubes India is PED approved manufacturer of gr T91 Alloy Steel Pipe, Alloy Steel T91 Cold Rolled Coiled Tube & SA 213 T91 T91 Tube suppliers. Check price list of ASTM A213 grade T91 Tube in India. Steel Tubes India is an ISO certified stockist & supplier of Alloy Steel T91 Seamless Tubes, Alloy Steel T91 Welded Tubes, Alloy Steel T91 EFW Tubes, Alloy Steel T91 ERW Tubes, Alloy Steel T91 Round Tubes, Alloy Steel T91 Square Tubes and Alloy Gr. T91 Tubing. 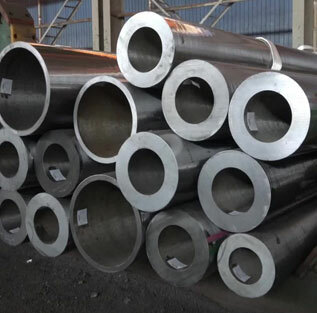 We are stocking distributor of Jindal, MSL & ISMT for ASTM A213 T91 Alloy Steel High Pressure Tube, ASME SA213 T91 Tubes & SA213 T91 Alloy Steel Seamless Tube. 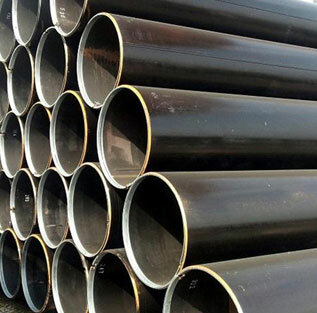 We offer best price of sa213 T91 material, SA213 T91 Boiler Tubing, ASME SA213 T91 Seamless Tubing, ASME SA213 T91 Pipe, ASTM SA213m T91 square pipe, Alloy Steel T91 Electropolish Tube and Alloy Steel T91 Custom Tubes in India & Europe. Special price offer on Alloy Steel Grade T91 Tubes. 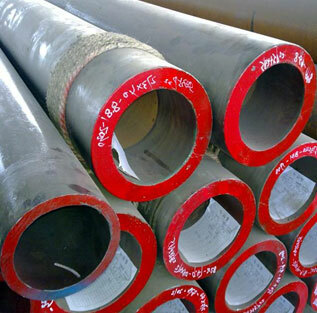 ASME SA213 T91 Alloy Steel Tubing & Alloy Steel T91 Tube are available in more than 60 types of thickness & sizes. Buy SA213 T91 Tube stock at best price. 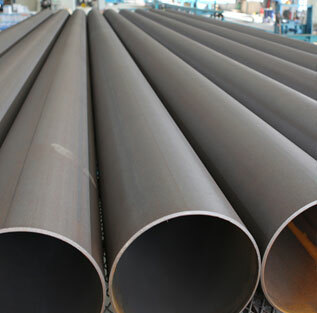 Compare our SA213 T91 Tubing price with SA213 T91 Alloy Steel Tube price in China. Our Dealers & Distributors in UK, USA, Sweden, Israel, Germany, Russia, France, Italy, Canada, UAE, Saudi Arabia, Malaysia, Singapore, Oman, Kuwait, Qatar, Iran, Indonesia & Australia arrange complete range of ASME SA213 T91 Alloy Steel Seamless Tubing in shortest time as well at best price. Looking to Buy SA213 T11 Tube? SA213 T11 Material? T91 steel tube price in India keeps on varying, based on many factors. 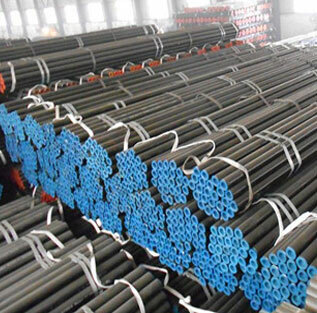 The worst part is, steel tubes will be sold by different sellers, online and offline, at different prices and you might end up buying these steel tubes, at a high price. 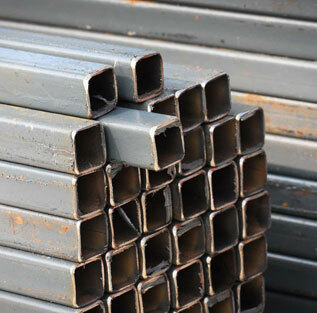 But relax, now that you are at this site, you can be sure that you will get steel tubes at the best market price. Who are we and how can we assure you of the best possible steel price in the market? We are a PED approved manufacturer of T91 steel tubes in India and if you want to buy T91 tubes at the best possible market price. Please note: All Above Prices are USD $/Ton. All price applicable for SCH 40, SCH 60, SCH 80 & SCH XS T91 Tube. 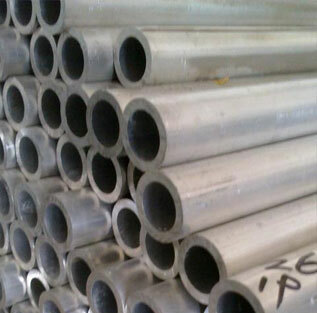 SA213 T91 Tube available in Form of Round, Square, Rectangular, Hydraulic Etc. SA213 gr T91 Additional Testing NACE MR 0175, NACE TM0177, NACE TM0284, HIC TEST, SSC TEST, H2 SERVICE, IBR, etc. SA213 T91 material composition is that this material contains 9% chromium and 1% molybdenum and it also has niobium and vanadium. It also contains controlled nitrogen content. SA213 T91 is a ferritic-martensitic steel micro-alloy. Because of its characteristics, SA213 T91 is used in many industries such as research & development, nuclear power plant, petrochemical, defense & development, oil and gas, pulp & paper, chemical, etc. 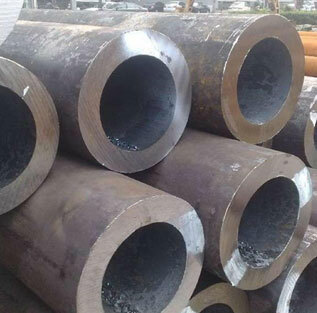 One of the most valuable ASME SA213 T91 properties is that due to its 9% chromium content, it offers a far better resistance to oxidation and corrosion. SA213 T91 displays creep behavior up to 600 °C. SA213 T91 shows superb strength at elevated-temperatures. The Chemical Properties of SA213 T91 are Chromium: 8.00 - 9.50, Sulfur: 0.01, Manganese: 0.30 - 0.60, Carbon: 0.08 - 0.12, Molybdenum: 0.85 - 1.05, Potassium: 0.02 and Silicon: 0.20 - 0.50. SA213 T91 has an Elongation of 30%. The minimum Yield Strength of SA213 T91 is 220 Mpa. The minimum Tensile Strength of SA213 is 415 Mpa. SA213 has a maximum Hardness Rockwell B of 101. SA213 T91 Tube welding is used extensively for pipe welding, aerospace, aviation, biomedical implants, fabrication of race cars, choppers, etc. Our SA213 T91 Tube are suitable for Aerospace, Plant manufacturing, Machine engineering, Power generation and Nuclear Power Plant etc. We are supplying high quality SA213 T91 Tube to our clients globally.